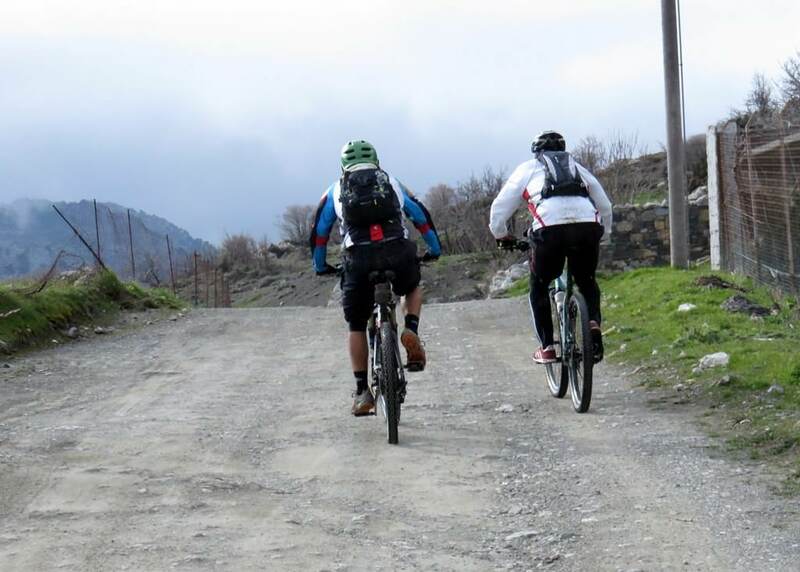 Ascend to the plateau of Katharo, ride up past the gorge of Chaugas, getting perfect views in between. 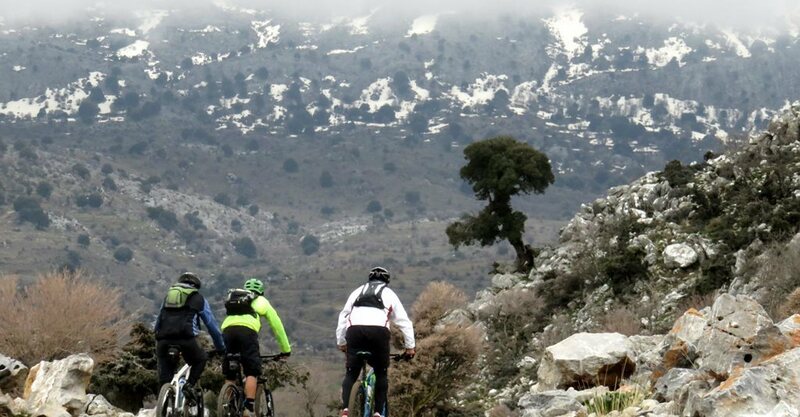 This tour begins at the Lasithi Plateau (850m). 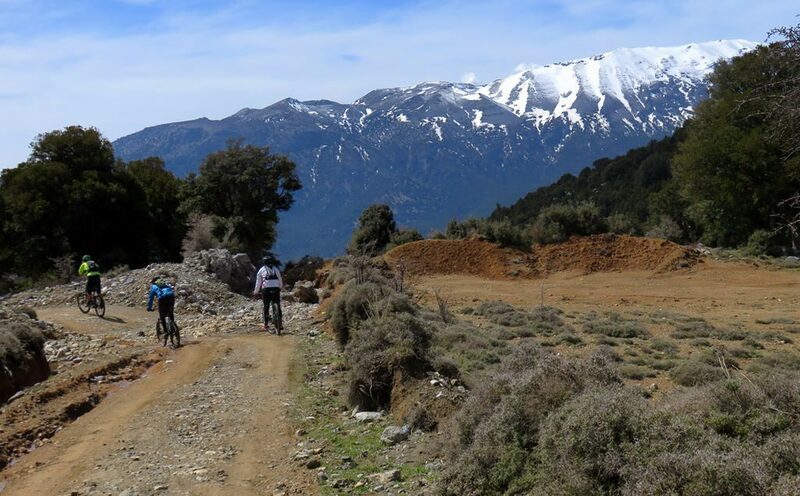 To warm up, we ride easy across the plateau heading East and reach the village of Mesa Lasithi to meet our first ascend. 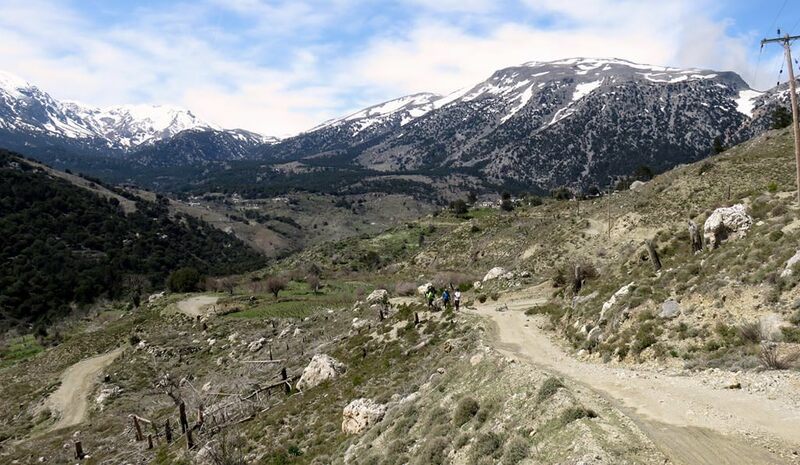 From here we start moving away from civilization and ascend to the plateau of Katharo (1200m). 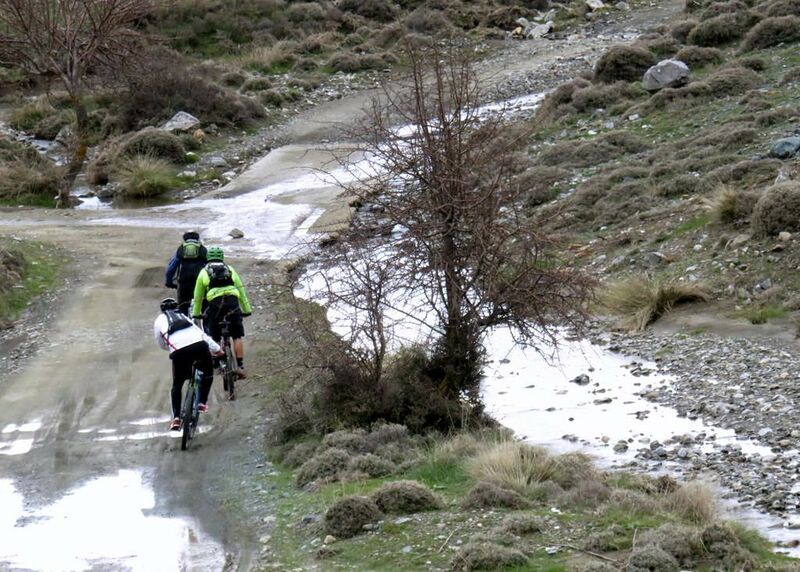 We ride up past the gorge of Chaugas getting perfect views from below. 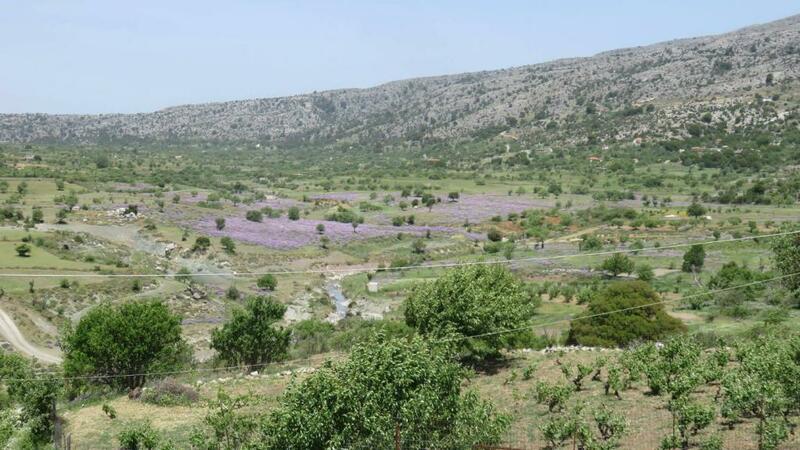 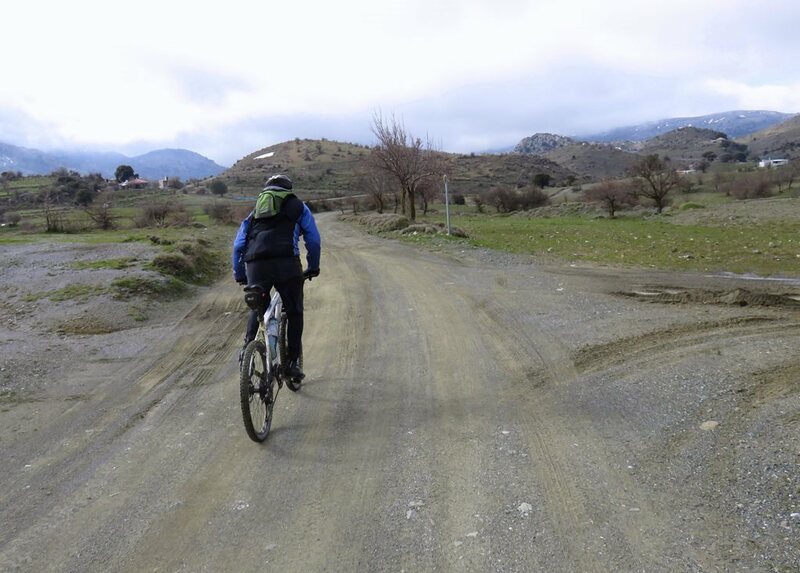 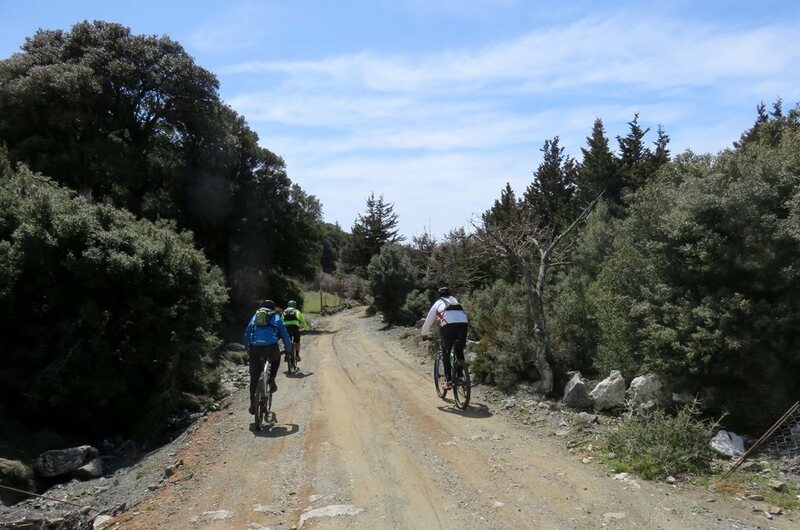 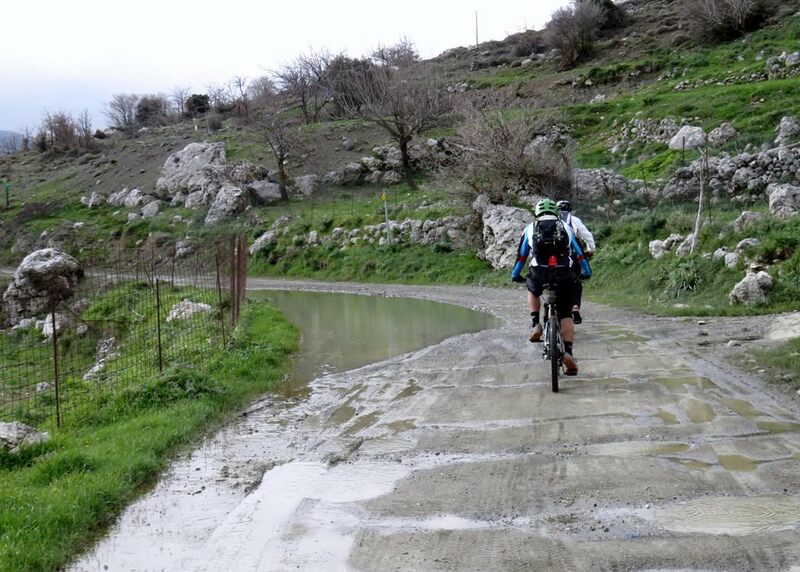 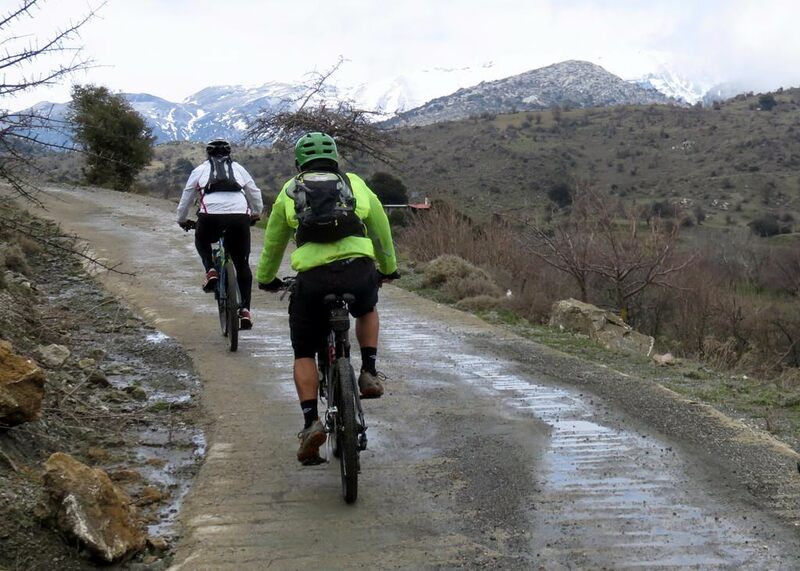 On the plateau of Katharo we cycle on smooth dirt roads getting a taste of Cretan nature at these altitudes. 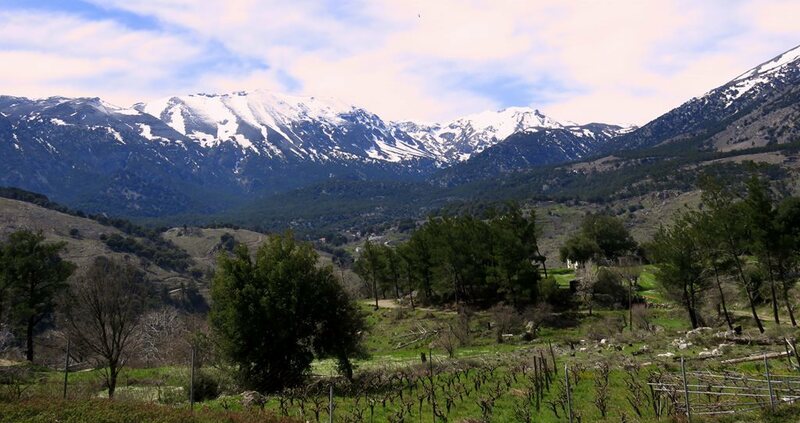 Wild maple, oak, pear, apple and chestnut trees are found all around, as well as numerous plants and colorful flowers (especially during spring). 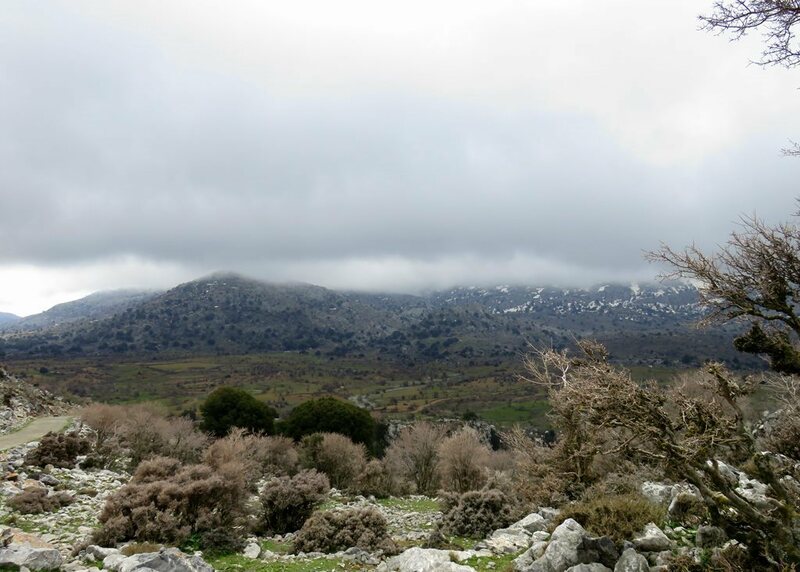 From above the dominate bird species are vultures and hawks, which thrive in this environment and find shelter in the surrounding cliffs. 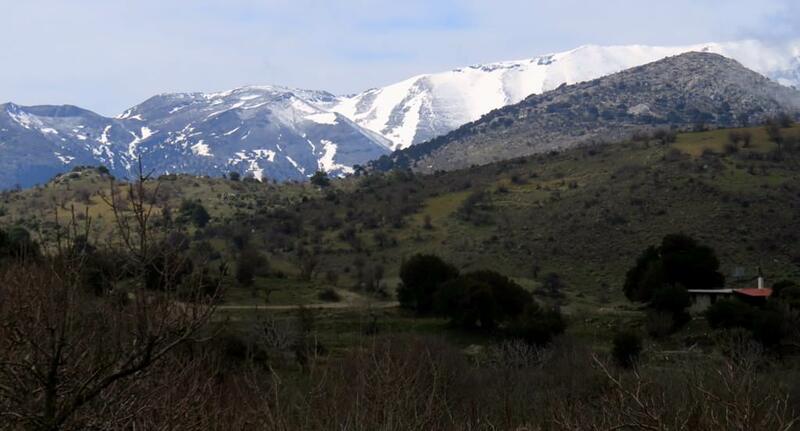 This is also the location where the paleontological discoveries of the dwarf hippopotamus and elephant fossils were made a short time ago. 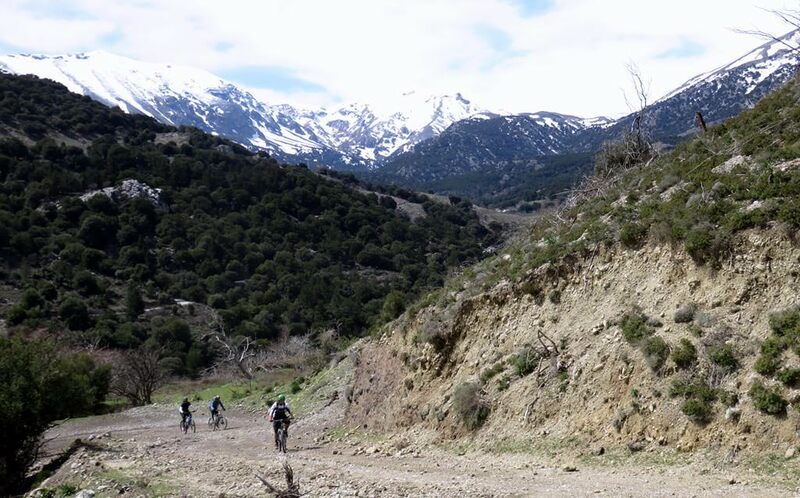 A second short climb will take us out of the plateau and to the peak of the tour. 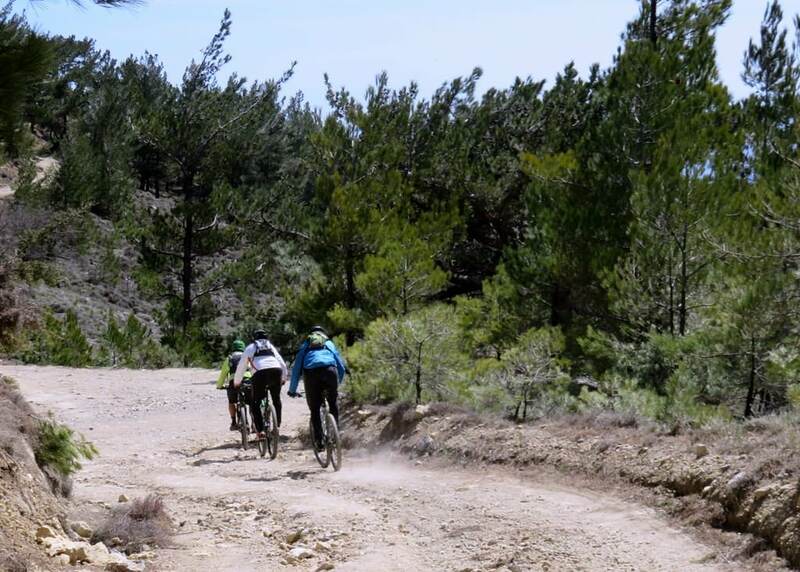 From here on it is all downhill through the pine forest of Kroustas. 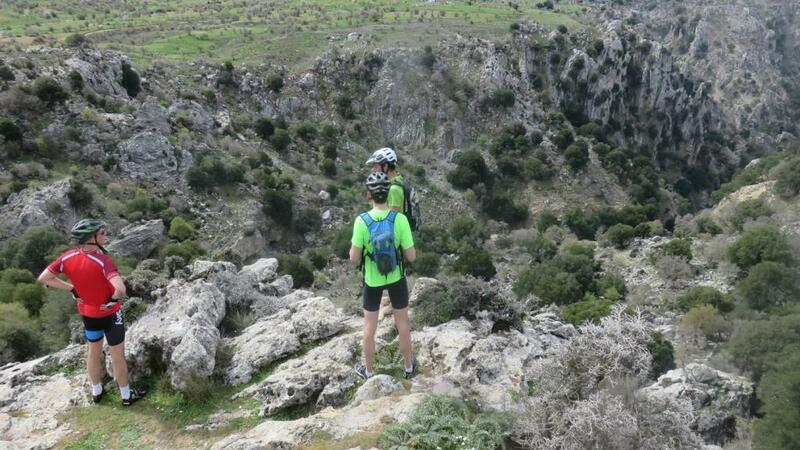 This is also the narrowest point of Crete which gives you the chance to see both coasts of the island.after the great views is time to climb back to katharo have lunch and the change to see some of paleontological discoveries!we climb for the last 3klm and finaly get the road back to lasithi.